This past winter has also been a warm one, though February was particularly cold with lots of precipitation. "We had a very heavy snow building event during February, which has left us with a great deal of snow water equivalent in the mountains and an increase in flood potential," said Steve King, a northwest service coordinator hydrologist with the National Oceanic and Atmospheric Administration (NOAA). 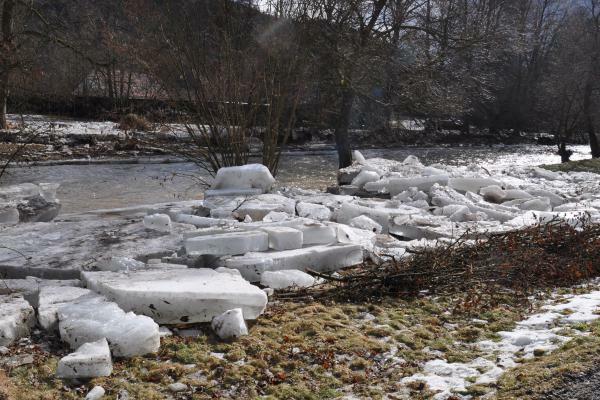 Jim Fahey, a Wyoming National Oceanic and Atmospheric Administration (NOAA) hydrologist, explained this could increase flooding and ice jams in the region. "If there's a colder than average winter, you get run off on top of the rivers and there's still ice that will accelerate the ice melt on the rivers and then you will have problems when the ice moves to obstructions like bridges and sharp curves in the rivers," Fahey said. Flooding potential will be felt in South Central Idaho, Western Colorado and Northeastern Wyoming. In the past couple of weeks, roads and bridges have already closed due to flooding in those regions. That includes a section of I-90 on the border of Wyoming and Montana.